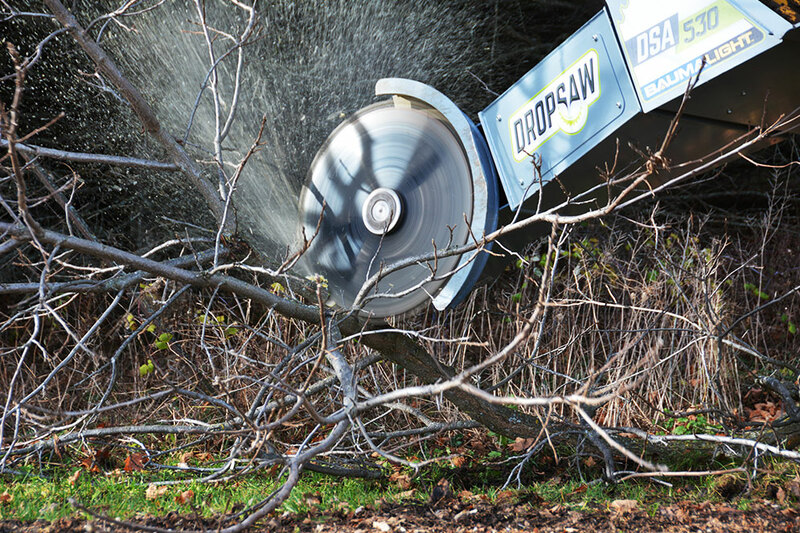 Tree Saw - Pruning, Trimming and Clearing. 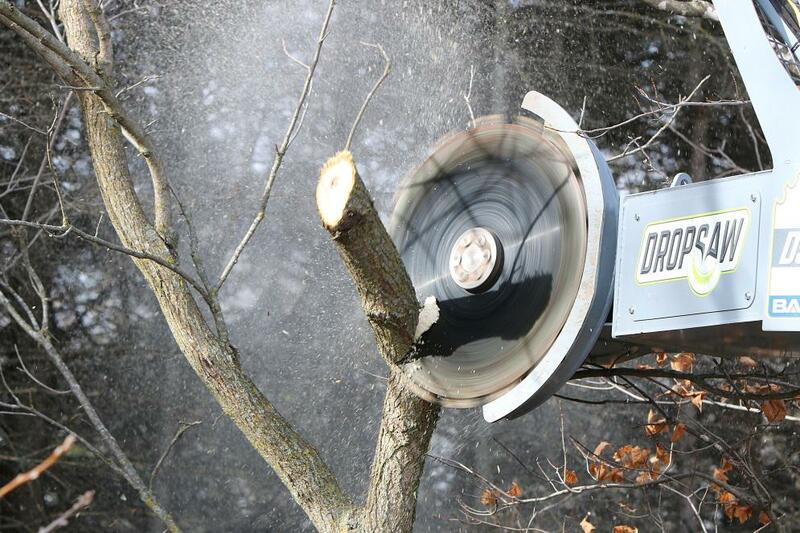 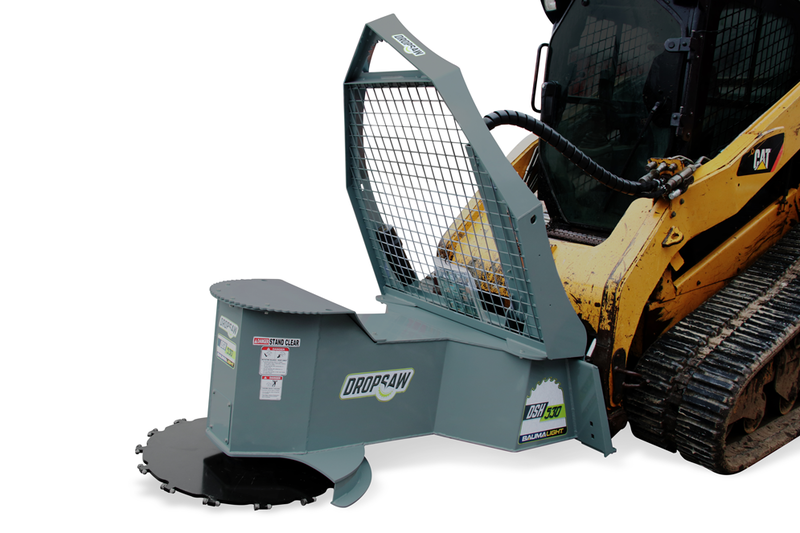 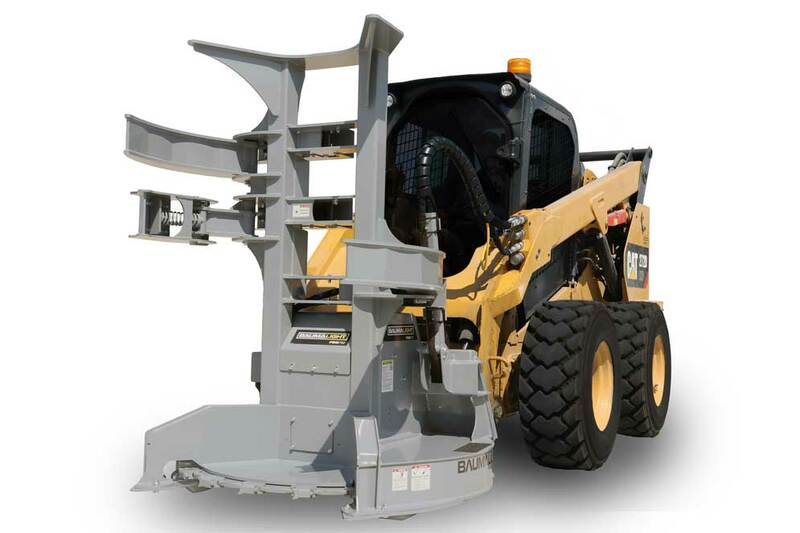 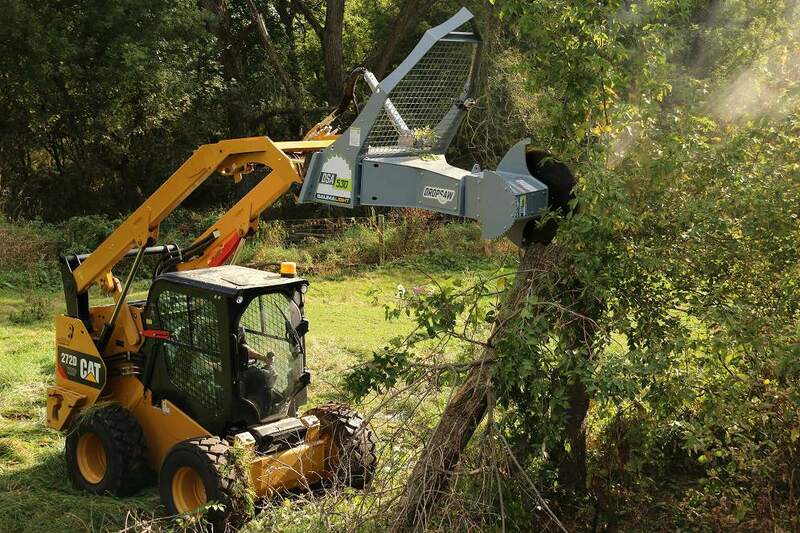 DropSaw is a hydraulic-driven tree saw with a rotating cutting head for your skid steer or excavator. 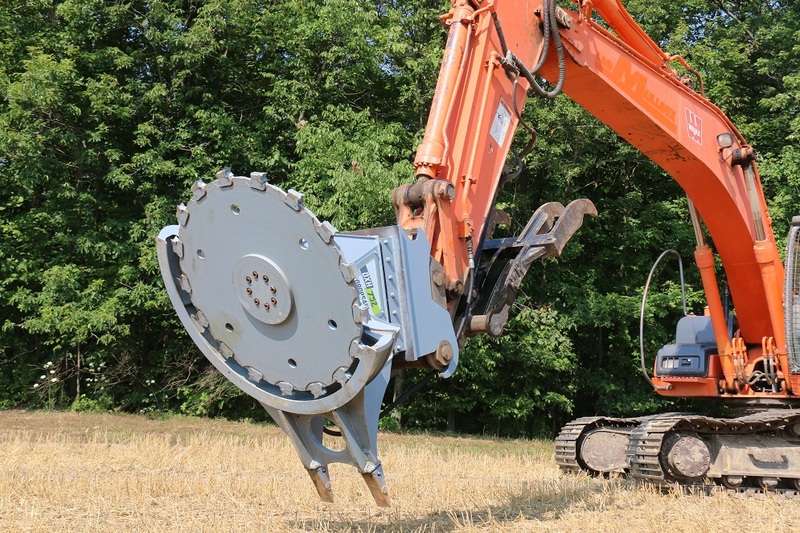 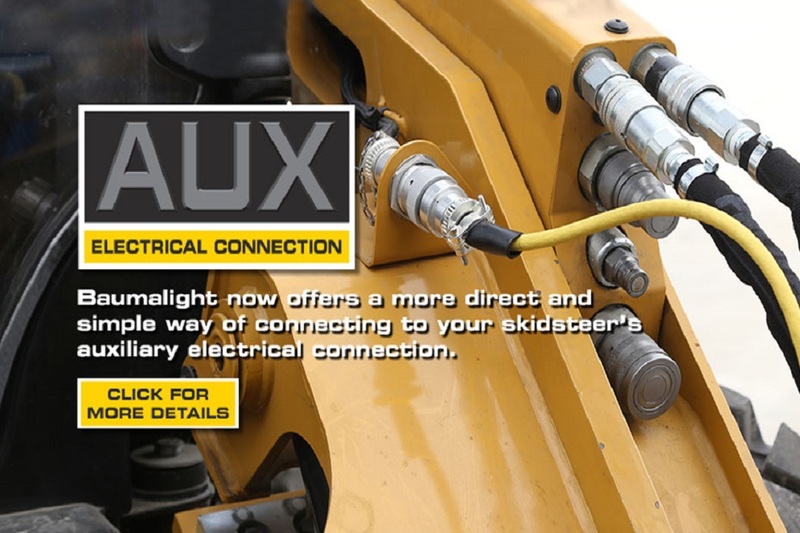 The high-speed circular blade features replaceable carbide teeth for improved durability and precise cuts. 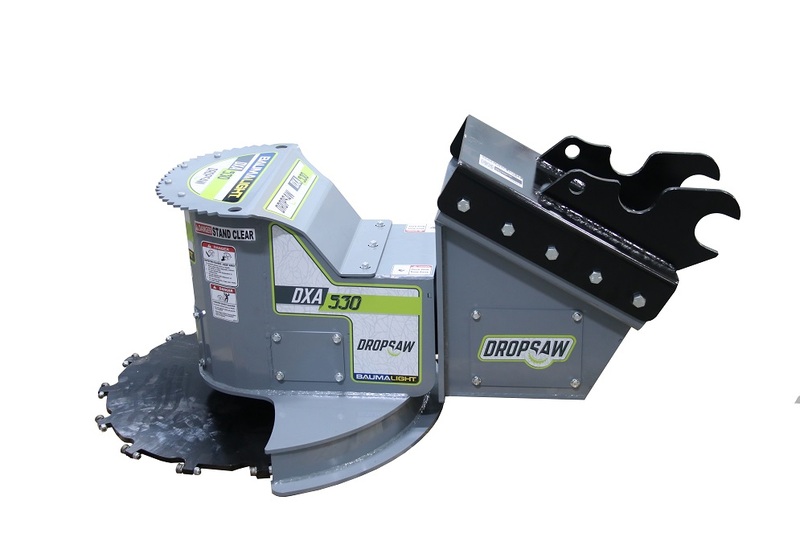 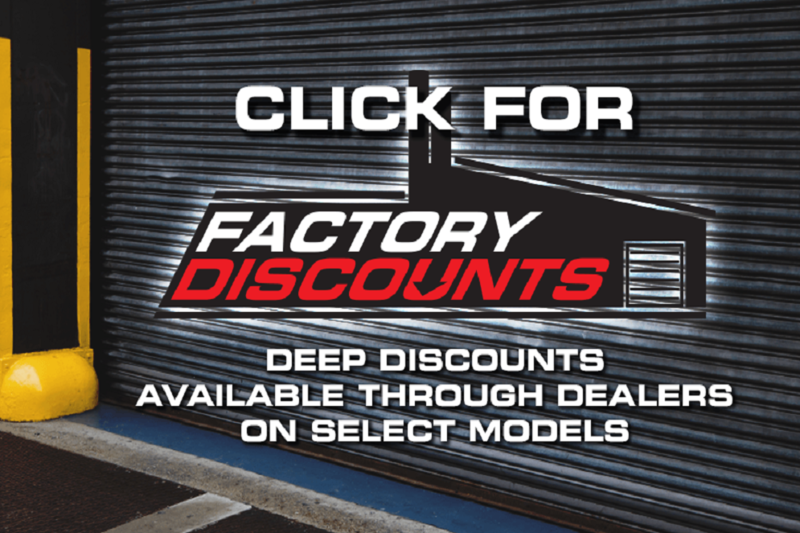 The available 180 degree rotating cutting head on some models offers precision and control to make quick and clean work of trimming and limbing. 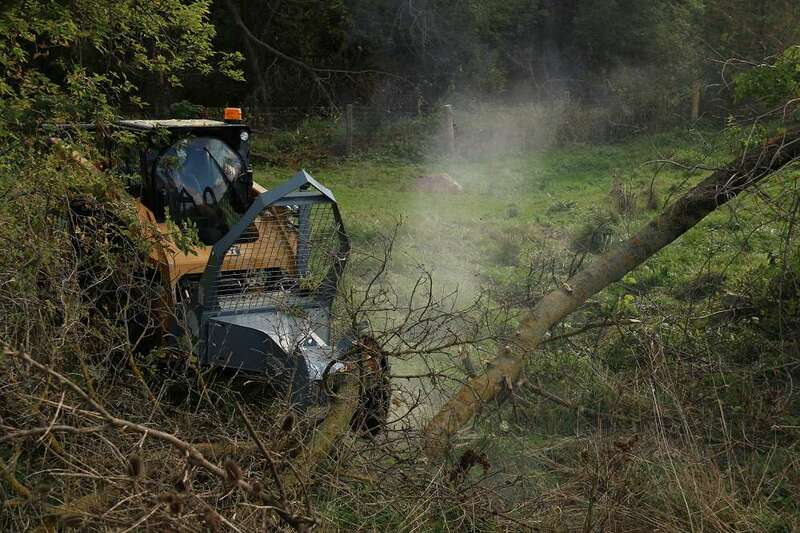 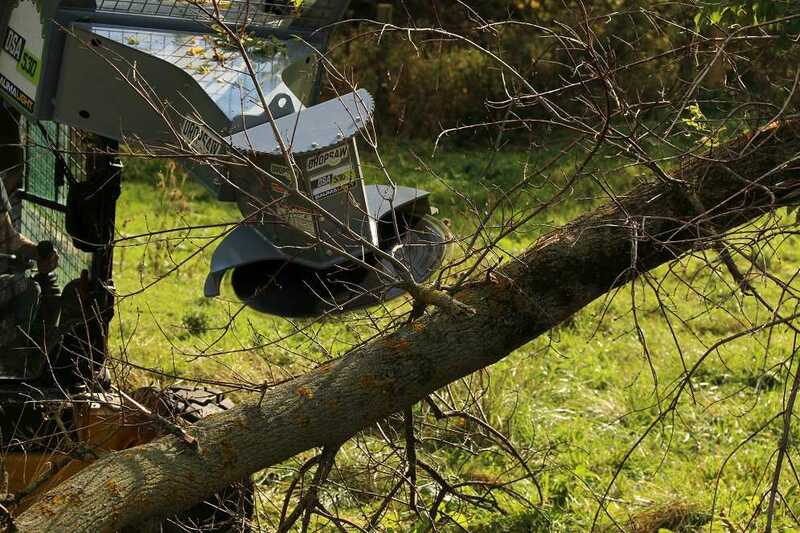 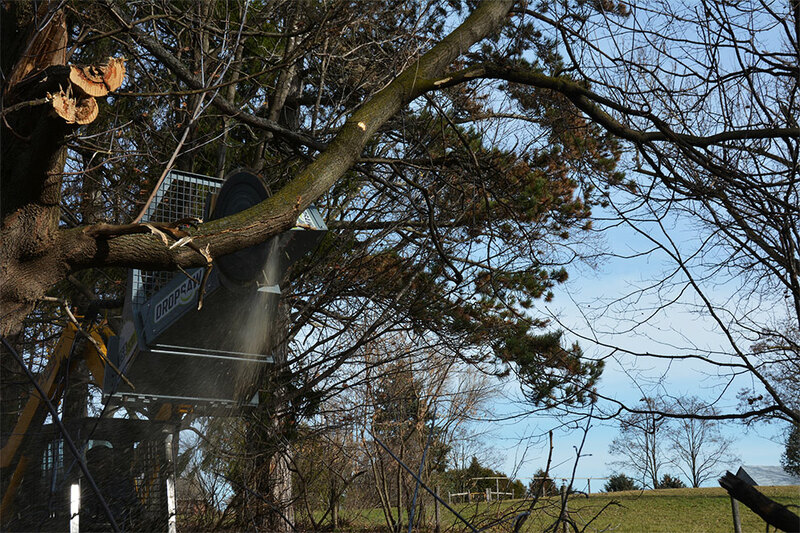 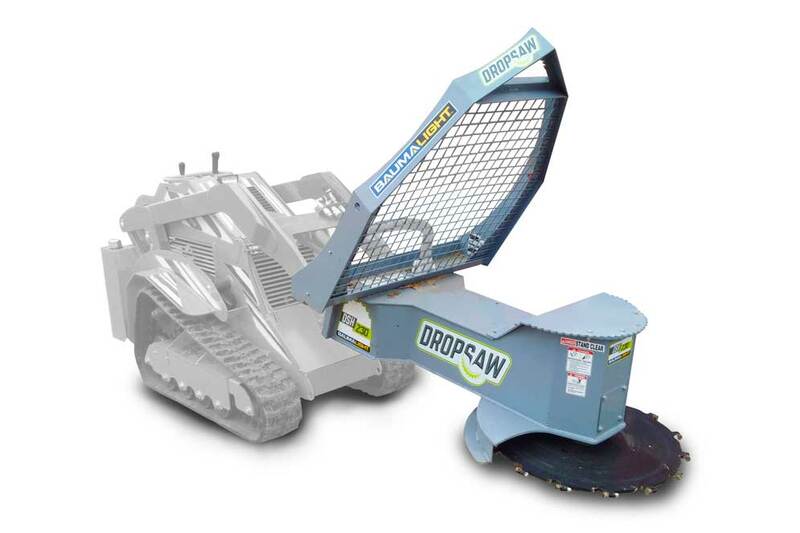 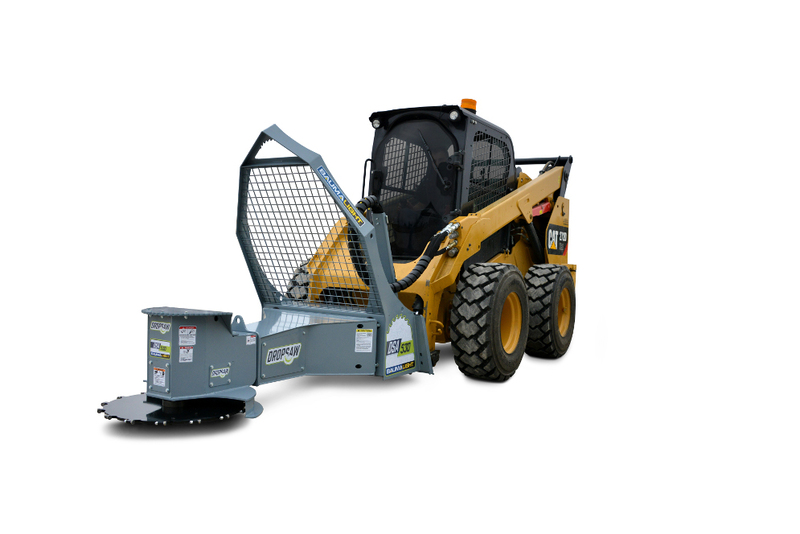 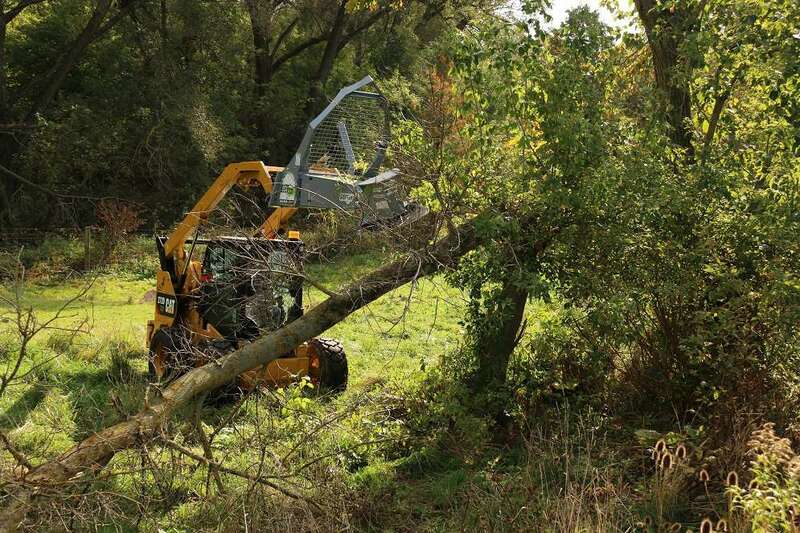 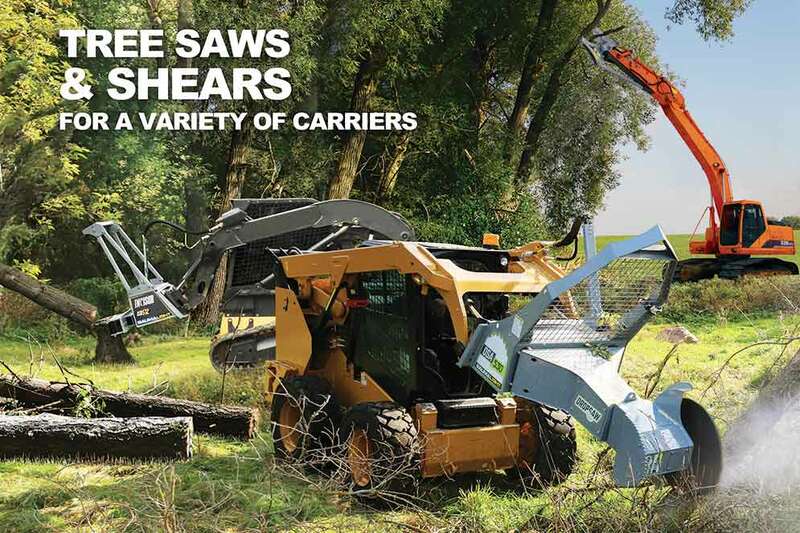 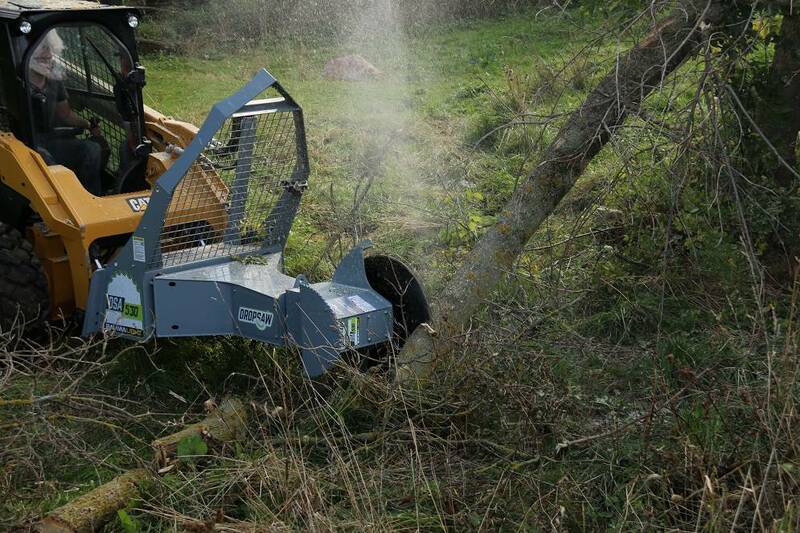 If your carrier has good hydraulics, it will make DropSaw a fierce tool to clear brush and shrubs efficiently, as well as take down small trees and limbs with ease and quickness.